Bikes, long an underdog on streets, will rule the roads eventually. That's the conclusion of Horace Dediu, a prominent analyst of disruptive technologies, who has spent the past three and a half years researching the future of transportation. Transportation is arguably the hottest frontier in the tech world. Innovators in Silicon Valley and beyond are spending billions to build flying cars and self-driving trucks. Tesla CEO Elon Musk talks of digging costly 30-level tunnel networks for cars. Google cofounder Sergey Brin reportedly has a giant airship. But as Dediu sees it, a familiar, unglamorous technology will own the future: the bicycle. And the big loser will be cars. Dediu points to the explosive growth of Chinese bikeshare systems as well as the versatility, low cost and efficiencies of shared bicycles. Software and electrification are slowly transforming the auto industry. There's talk of self-driving cars flooding streets in five or 10 years. It will likely take even longer for electric vehicles to go mainstream. Dediu argues that electric, connected bikes will arrive en masse before autonomous, electric cars. Riders will barely have to pedal as they whiz down streets once congested with cars. Mobike users take 20 million rides a day on the startup's 3.6 million bikes. The Chinese startup launched its first bikeshare network 13 months ago. Bikes have another edge on cars -- speed. New York's shared bicycles have already been shown to travel at a faster average speed than city taxis during peak hours. They're also more affordable per mile. "Normally if we introduce a group to bikeshare, maybe a third or half of people are interested. But almost everybody was really intensely interested in using this service," he said. McFadden is planning a pilot program with electric bicycles in Austin. Sales are already skyrocketing in Europe. Bikeshare systems have grown rapidly in the United States, but they aren't close to displacing cars. There needs to be a dramatic increase in bike usage for the dominance of cars to be challenged. LimeBike, a U.S. bikeshare startup, believes a key drawback today is a lack of available shared bikes. 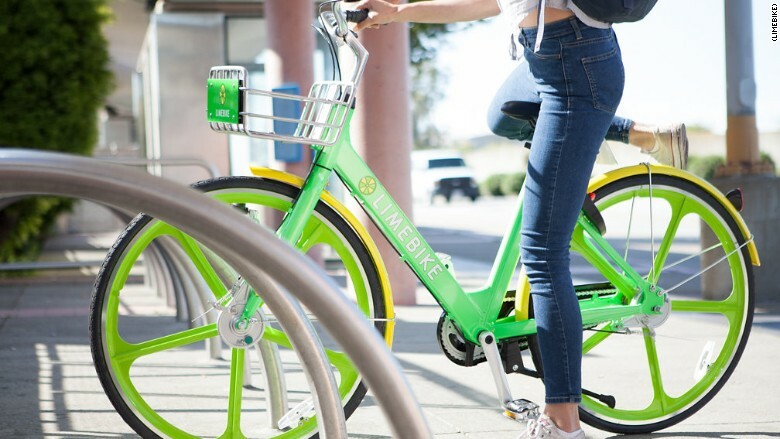 "You look at any major or mid-sized city, they're all significantly under capacity in terms of the bikes necessary to truly change transportation habits in the public," said LimeBike vice president of strategic development Andrew Savage. Limebike plans to launch a bikeshare network in the United States this summer. LimeBike plans to launch its first bikesharing network early this summer. It has not disclosed where. 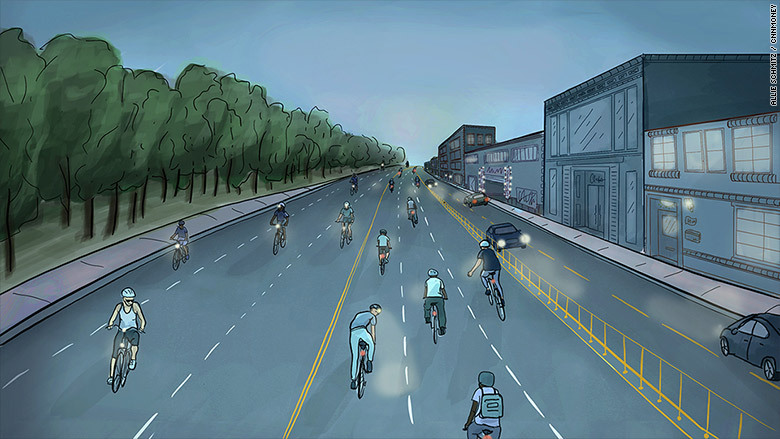 It's counting on a density of bikes and a dock-less system to help it stand out. Bikeshare networks generally require riders to return bikes to stations, which can be inconvenient. LimeBike won't have stations, so bikes can be parked anywhere. This will make transportation more fluid for riders. Bikes will be found and unlocked via a smartphone. By improving accessibility and convenience, bikesharing could go into hypergrowth mode. The potential is already playing out in China, where new bikeshare networks dwarf the U.S. networks in size. America's largest programs, in New York and San Francisco, are expanding to 12,000 and 7,000 bikes, respectively. Beijing has more than 650,000 shared bicycles. They've all appeared in the last nine months. The two heavweights of Chinese bikesharing are ofo and Mobike, which operates in more than 50 cities. Unlike most U.S. bikeshare programs, the bikes can be parked anywhere, increasing convenience for riders. 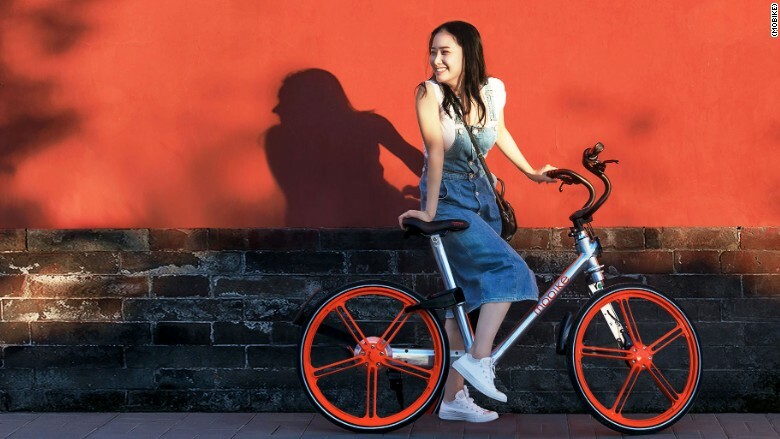 Mobike users take 20 million rides a day on the startup's 3.6 million bikes, according to the company. In the last few weeks, it's begun testing pollution sensors on some of its bicycles. 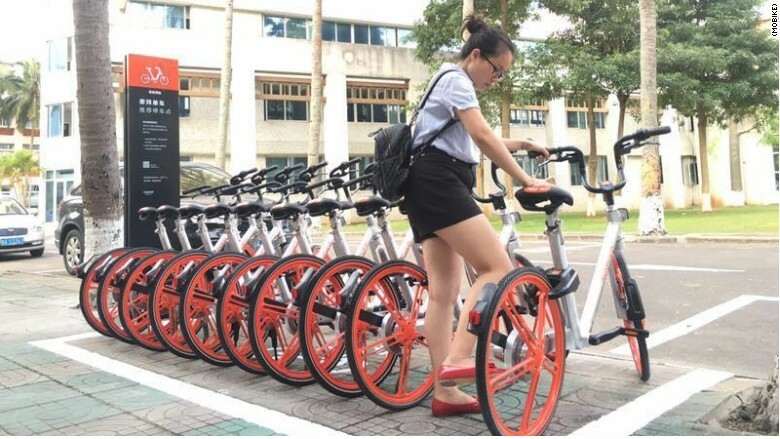 Mobikes don't need to be required to docking stations. But the start-up has set up some preferred parking zones as an option for riders. Dediu projects that there will be more than 100 million shared bicycles on global roads by 2025. According to MetroBike, there were 2.3 million shared bicycles at the end of 2016. But there are challenges to the wide adoption of shared bicycling. Two of the biggest are infrastructure and weather. Many potential cyclists are fearful of riding amid cars and trucks. Without protected bike lanes that shield bikes from vehicles, many people will never dare to ride a bike on a crowded street. He also expects grassroots excitement to propel the bicycle industry forward. The passion for bicycles exceeds other cutting-edge transportation projects. Surveys have shown most Americans fear riding in a self-driving car. "I can talk until I'm blue in the face about [autonomous vehicles] and I don't get a lot of response," Dediu said. 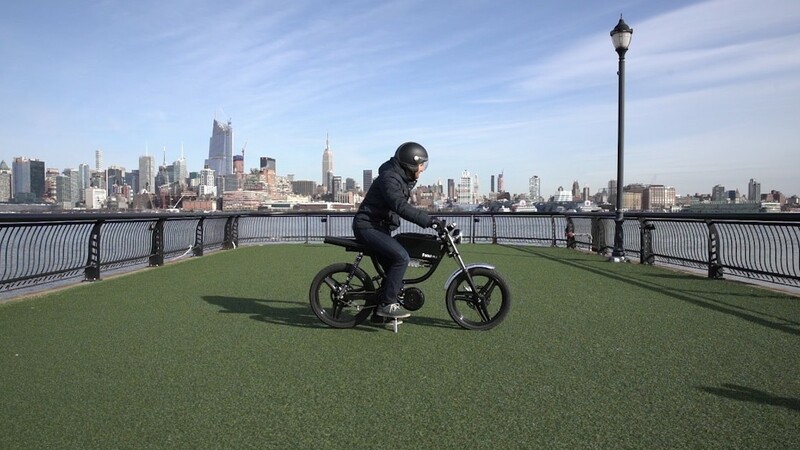 "Whenever I open my mouth about electric bicycles, the enthusiasm I get back is literally deafening."